Equipped with a remarkable set of features and value, the Graupner DES 427 BB Ultra-Thin Digital Servo that provides an ideal combination of weight, speed and holding power. The heavy-duty gear and programmable SMT circuitry creates a reliable and accurate response making it the perfect choice for sailplanes, small-scale airplanes and sports planes. 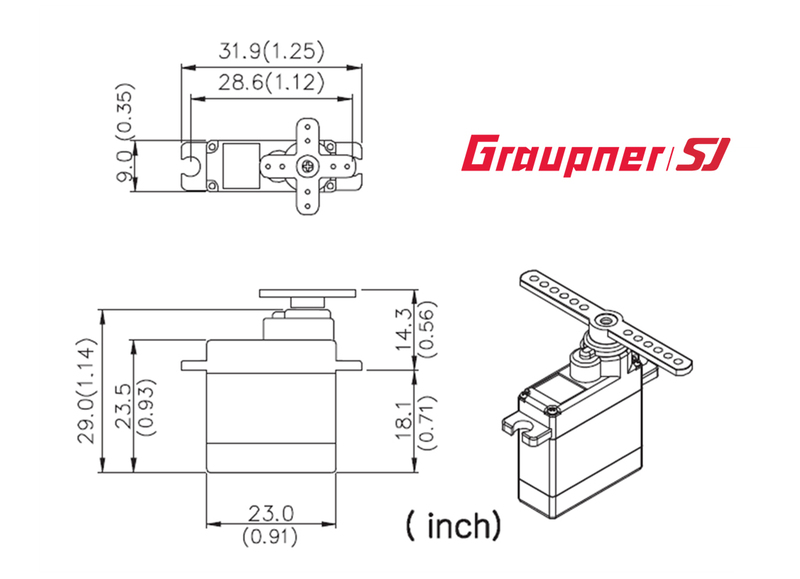 The DES 427 BB can be specially programmed to meet your unique specifications via the free Graupner Servo Setup Software. Sailplanes F5J, F5B, F3J, F3B etc.